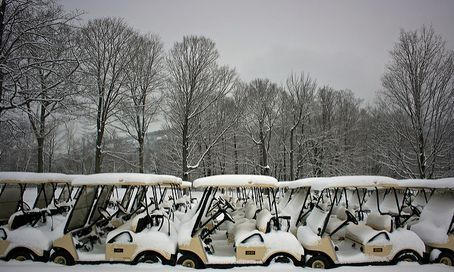 Where's your cart go for the winter? 1. We will pick it up and deliver it back. 2. We will keep it in an enclosed and insured facility. 4. Tires aired as needed. 6. Top off rear-end fluid. 7. Cart will be delivered back cleaned (not detailed) and charged. Call to schedule one week prior to pickup.